Ever since the very first cinematic trailer for Overwatch, people have wondered about the antihero known as Doomfist. 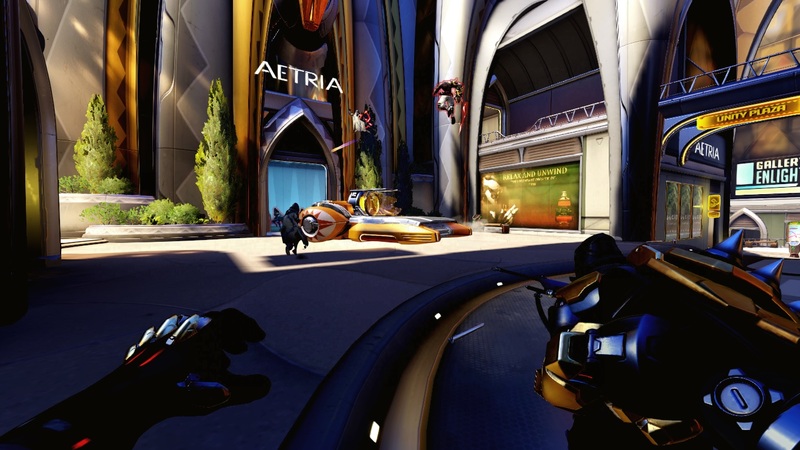 Earlier today he was revealed on Overwatch's Public Test Realm (PTR) for PC players to try out. I got some hands-on time with the 25th hero, and I'll expand on his abilities below. To start off, Doomfist is considered an offense character. It's a little surprising since almost everyone assumed he would be a tank class, but the designation makes a lot of sense. 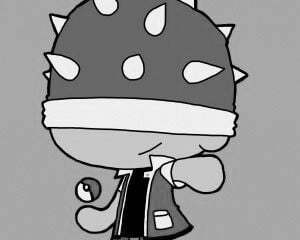 He's very definitely a brawler, designed to get in close and punch enemies in the face. He has a lot of mobility options that allow him to do so, and despite his muscular, lumbering appearance, he's extremely agile, able to move almost as swiftly as Genji. Doomfist's passive ability is called "The Best Defense..." and it rewards him for playing to his strengths and mixing it up with enemy heroes. Any ability he manages to score a hit with will grant him 30 temporary hit points, up to a maximum of 150 extra HP. The bonus HP is the same kind you get when Lúcio breaks it down, though it decays much more slowly. This bonus is awarded whenever he connects with a hero or a construct, meaning you still get it if you punch a turret or a teleport pad. No HP are earned if he uses his primary fire or does a quick melee strike-- it's only special abilities that give him the bonus. With his beginning 250 HP, Doomfist can reach his maximum of 400 HP pretty quickly if he's doing well. 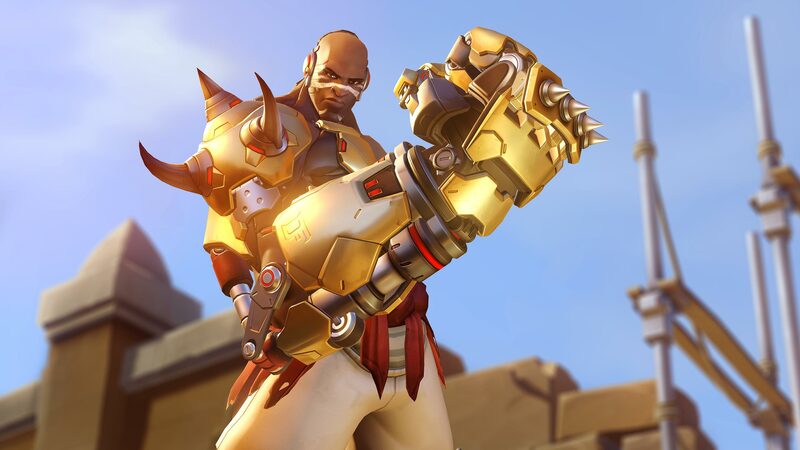 Doomfist's primary fire Hand Cannon almost seems like an afterthought, a literal sidearm built into his left hand. This holds four small shotgun blasts that fire six pellets each and do a respectable amount of damage at close range, especially when aimed at an enemy's head. You can see how many charges are still available by looking at the gem-like lights built into his left knuckles. Like Tracer's blinks, the charges don't need to be reloaded, but they come back slowly. It's easy to find yourself out of charges and backed into a corner if you end up fighting more than one or two enemies at the same time. 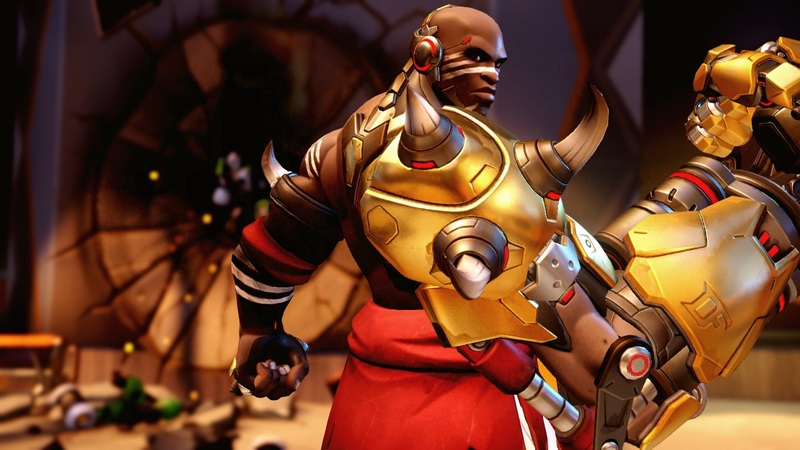 It's very much a weapon of last resort, and Doomfist players will no doubt prefer to use his namesake whenever possible. Doomfist plays a lot like a first-person version of a Street Fighter character, and his abilities can combine into one another in interesting ways. Many of his abilities have an effect on enemy positioning, and he'll be able to use them to knock people into environmental hazards or help set them up for his teammates. His Rocket Punch can be used every five seconds and makes use of the massive bionic arm that gives him his name, charging forward in a straight line and slamming into an enemy at full speed. This alternate fire stuns enemies briefly and even goes through barriers, capable of damaging Reinhardt through his shield and hurting a deflecting Genji as well. The stun is quite versatile and has high priority, useful for stopping a charging Reinhardt or even dashing through a Roadhog's Whole Hog ultimate. Connecting with an enemy stops your movement cold and knocks them backwards quite a bit, with significant bonus damage added if they're propelled into something solid. If the enemy does hit a wall, there's a satisfying thud and a small crater will appear where they impacted for the rest of the match. This move can be charged up by holding the alt-fire button down, or launched immediately for a lessened effect. It can also be cancelled midway through a charge, though cancelling will still restart Rocket Punch's cooldown. It deals 100 damage when fully charged, and at least 250 if you get the wall bonus. Unfortunately, it doesn't seem to be consistent what the game considers to be a wall, so this aspect of Doomfist's kit may need some more testing before he's ready for the live servers. Doomfist has two other abilities that let him close the distance with enemies, both on eight-second cooldowns. His Rising Uppercut is lifted right out of Street Fighter, acting exactly like Ryu's Dragon punch. He jumps about 15 feet in the air, launching any enemies he hits with him. He can use this to knock enemies into the air or backwards into an environmental hazard, or just set them up for one of his other abilities. Airborne enemies don't seem to take the damage or trigger the health gain, so it seems like the initial impact on the ground is what counts. The other ability is called Seismic Slam, and while Rising Uppercut is a vertical move, Seismic Slam is horizontal. Using it while airborne gives it better range, and also displays a cone of effect that shows where you'll land and what will be hit when you do. Any enemies inside this field are drawn closer to Doomfist, perfectly setting them up for a Rocket Punch. Using Rising Uppercut into Seismic Slam can allow you to jump to the roof of the ruins in Ilios or try to get closer to a pesky Pharah, though Winston still has better mobility with his jumps. Doomfist's ultimate ability is called Meteor Strike, and it turns him into a walking orbital assault. Triggering the ultimate causes him to leap into the sky, and he's not targetable for the duration. The player will begin controlling a large reticle on the ground with two concentric circles showing where they'll land. Both teams can see this reticle and it's not hard to avoid, so it'll benefit from being paired with ultimates that immobilize enemies, like Mei's, Reinhardt's, or Zarya's. You can move this reticle freely for about four seconds before he slams into the earth, dealing serious damage to any enemies that haven't moved out of the way. Catching an opponent in the center ring does much more damage, but any opponent in either ring will be knocked backwards if they don't die outright. It can also be used to save yourself if you've been stuck by Tracer or knocked into a pit by an enemy Lúcio or Pharah. 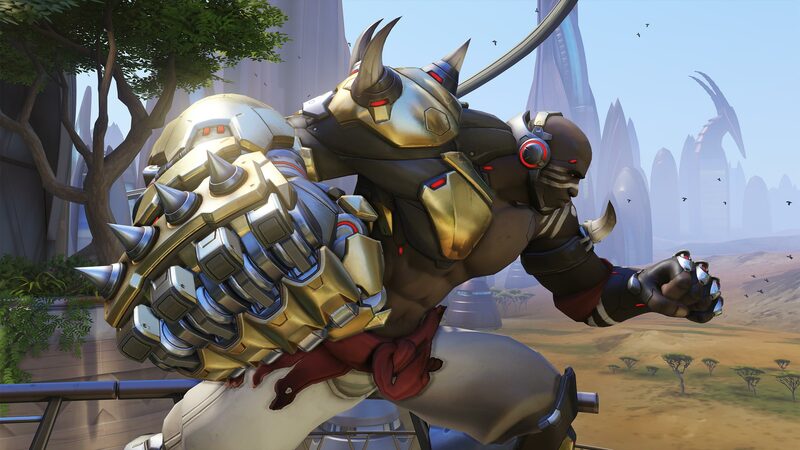 Doomfist seems like he'll be a character that will demand skill when he goes into Overwatch's live game, and there's no doubt he'll fit right in with the highly mobile metagame that's in place right now. He's weak against characters who duel at range, but he has the tools to close the distance and take the fight to the opposition. He can't punch through an ice wall, so Mei will be able to stop him from getting close. He'll also need to be especially careful of enemy Sombras, who can shut down all of his HP generating abilities and reduce him to his left hand sidearm when he's hacked. He's great at breaking through a chokepoint however, able to knock Reinhardt into the sky and remove his team's protective shield long enough to turn the tide. 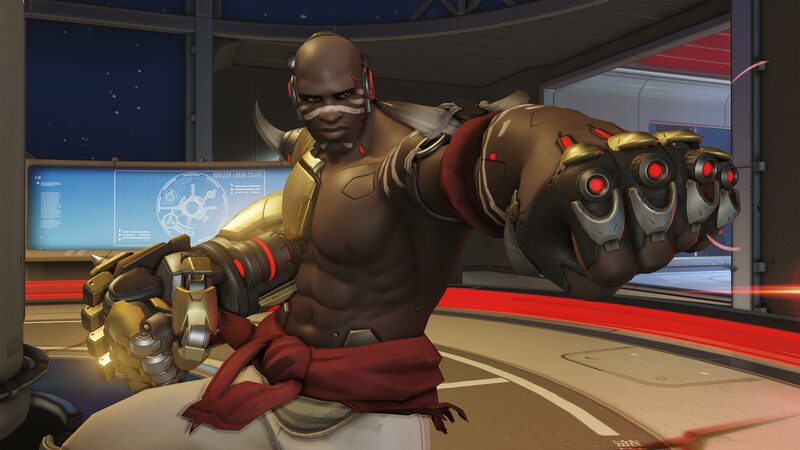 There's nothing subtle about Doomfist, but he's a hell of a lot of fun to play and I imagine he'll have plenty of fans when he's added to the live game.